Why has the IFS dismissed Labour's additional levy on property? 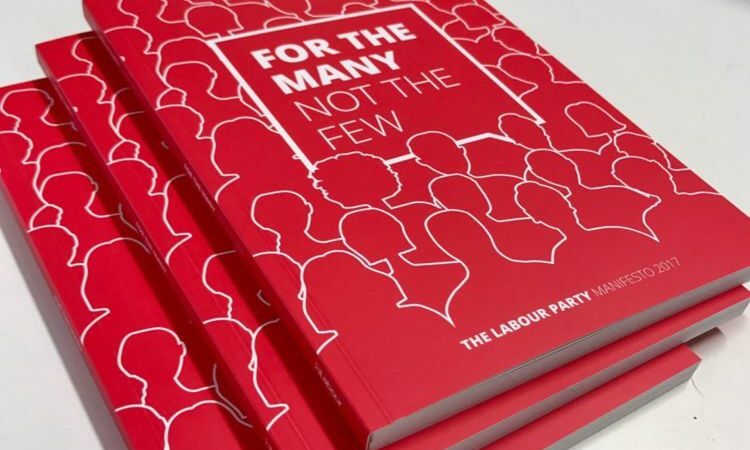 One of the claims in the Institute for Fiscal Studies’ (IFS) analysis of the Labour Party’s costings of its pledges is to question the Party’s capacity to raise additional tax revenues. There are always question marks as taxpayers’ behaviour is unpredictable and the rapacious tax avoidance industry finds novel ways of dodging taxes. Of course, it can only do that as long as governments permit them. Labour has proposed an addition levy of 15 per cent, i.e. on top of everything that is in place now, on residential property purchased in the UK by offshore companies. Labour has estimated that this can raise about £1.6 billion a year. The IFS has responded with claims that the ‘offshore company property levy likely to raise £0 after people respond’. Let us look at its bizarre claim. First, some background is needed as the IFS has shown no awareness of the additional levy. In many countries, foreign companies and residents are crowding the residential property market. This is pushing up property prices and depriving many locals of a chance to buy. Many of the properties are not occupied (could be second homes or investment) throughout the year and as a result local economy is negatively affected as due to lack or regular customers many local florists, newsagents, supermarkets and shops find it difficult to maintain their trade. Offshore companies with anonymous shareholders are also buying residential property. Some of the cash may well be illicit. A tax on foreign ownership of residential property (not commercial property) can raise additional revenues, suppress property bubbles, check price rises, check flow of illicit funds and also provide revenues for a house building programme. Foreign buyers make immediate use of the local infrastructure funded by other taxpayers. So why not ask for some contribution towards that. Some countries have already moved towards an additional tax. For example, since 2012 Singapore has operated a system of an additional 15 per cent levy (stamp duty) on foreign ownership of residential property. Hong Kong has also levied 15 per cent tax and in 2016 increased it to 30 per cent. Canadian cities such as Toronto and Vancouver have also introduced an additional 15 per cent levy. In Australia, the state of New South Wales levies additional four per cent of tax on foreign buyers, Queensland three per cent and Victoria has now increased its levy to seven per cent. The point is that there is a living laboratory which shows that higher taxes on foreign ownership of residential property has not made any significant dent in demand. In the UK swathes of residential properties, especially in London, have been bought by foreign residents, especially anonymous offshore companies. For example, the Guardian reported that in 10 months to May 2016, some 40,000 properties — from entire apartment complexes to wine cellars and car parks — have been registered in tax haven companies. A dataset published by HM Land Registry showed that between 1999 and 2014 about 100,000 residential properties have been bought by overseas companies. The dataset does not include ownership titles registered by foreign-resident private individuals, UK companies with an overseas address, trusts and charities. So the full extent of foreign ownership of UK residential property may be much higher. Purchase prices can be assigned to most of the properties in the Land Registry dataset and this comes to about £256 billion. Even then about 25 per cent to 30 per cent of the price information is missing. If the missing data exhibits pricing patterns similar to the known data then the total price of the dataset may be around £320 billion which works out at an average of about £23 billion a year. A 15 per cent levy on that could raise about £3.5 billion. The additional levy may change some people’s behaviour though the experience of other places (see above) is that this has not been significant. Nevertheless, Labour has erred on the low side and assumed that only £1.6 billion of additional tax/levy could be raised. The IFS also claimed that the levy can easily be avoided as companies can relocate from offshore tax havens to more respectable places like the US. Of course, this would be welcome as the companies and the wealthy individuals hiding behind them would become subject to taxes in the UK and elsewhere. If the ownership of residential property is switched from offshore to the US, then those companies will become subject to the US system of corporation tax i.e. they will in general have to pay tax on their worldwide profits, subject to a tax credit for taxes already paid abroad. The IFS analysis is poor and disappointing. It has shown no awareness of global developments. It has failed to examine the living laboratory provided by other countries. It did not know that some other countries have already successfully introduced the additional levy on foreign ownership of residential property. Places like Hong Kong and Queensland would hardly to increasing the rate of their levies, if the tax did not raise any revenues. One of the great attractions of land and property taxes is that speculators cannot move these things offshore. This is why we need to begin to tax these things more heavily and reduce income taxes on the vast majority of people in the country. We also need to have an up-to-date, continuously maintained land register. We need to tax heavily, ‘undeveloped’ land, particularly in our cities and tax heavily second homes and unoccupied domestic dwellings. We have to prick the inflated property bubble. Unfortunately, we cannot trust the Blairites within the Labour Party to support a radical redistribution of power and wealth. Mr Gordon Brown had plenty of opportunities to begin this huge process of change when he was Chancellor and later, Prime Minister. However, in 2008 when the opportunity arose he and his chancellor, the quasi-socialist Alistair Darling transferred shedloads of public money to the greedy maws of the very people who had caused the crash. This is a feeble defence of a poorly thought through proposal. The point is that offshore holders of UK residential real estate are nowadays fully subject to UK income tax and capital gains tax. They save no UK tax by holding offshore – indeed the “Annual Tax on Enveloped Dwellings” mean they pay more tax than if they held directly. Hence, faced with a 15% levy, the natural response will be to cease to hold offshore. This has been discussed on Twitter – https://twitter.com/DanNeidle/status/864574410463883266 – where Prem refused to engage. The international comparisons are misleading. Hong Kong and others impose tax on foreign residents buying local real estate (regardless of whether they acquire directly or through a corporate). Prem is proposing a tax on foreign *corporates* buying local real estate. If the owners simply hold the real estate directly, there will be no charge. There is a need for all the ownership of property and land in the Uk to be registered on the Land Registry and taxed on net worth. Much of this land has been owned since 1066 and untaxed in any way. Non-UK citizens buying property should be subject to the same laws as UK Citizens and no company should be allowed to own domestic property. We have the situation where foreigners can purchase property and leave it empty and then sell and take the capital gains out of the country without paying any tax. This is a complete area where reform is needed and a new approach implemented to prevent tax avoidance.